A few years ago we had a teacher of Physics at our school who was something of a legend. His name was David Sutcliffe. He was, not only the school Principal, but one of the best teachers I have ever come across. He was hugely respected by the kids. One time I was having a coffee and looking over the latest copy of Fly Fishing and Fly Tying Monthly. He noticed the headline of an article I was reading which was something like “successful nymph patterns for carp”. I went on to point out to him that nymph fishing for carp is the kind of thing I tend to get up to myself. Tragically, David, passed away in 2007. He was only in his 50´s when cancer got the better of him. If he were still around I imagine that, tomorrow, we might have discussed the international rugby that is happening this weekend. 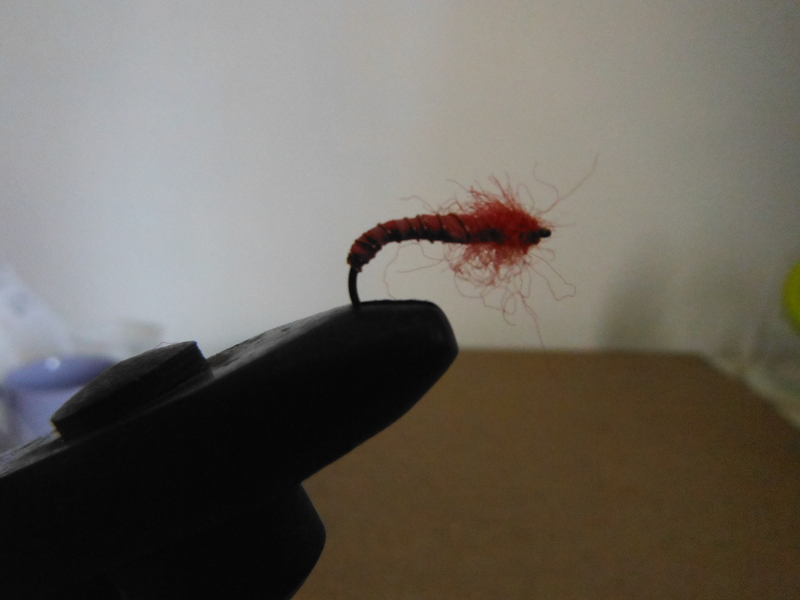 I might even have brought in a few of the nymph patterns I hope to tie up this morning to show him. I wonder what he might have made of them? 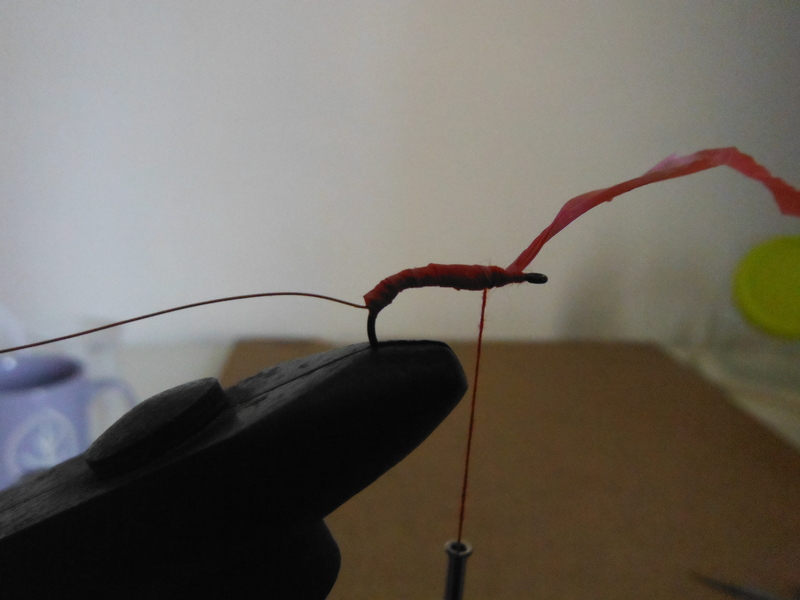 I have developed a nymph pattern myself which has received the nod of approval from the carp in my local river. 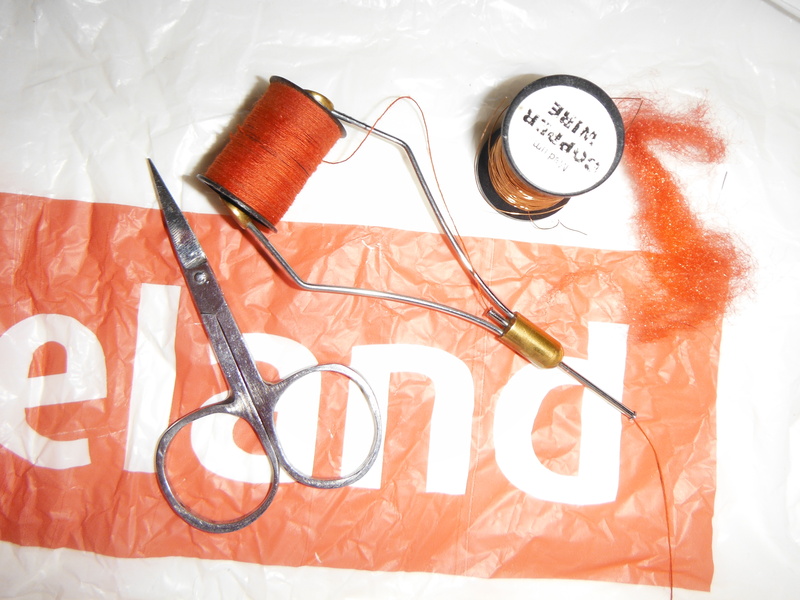 It is simple to tie and the materials needed are easy to get hold of and the fly itself can be rustled up in a couple of minutes. 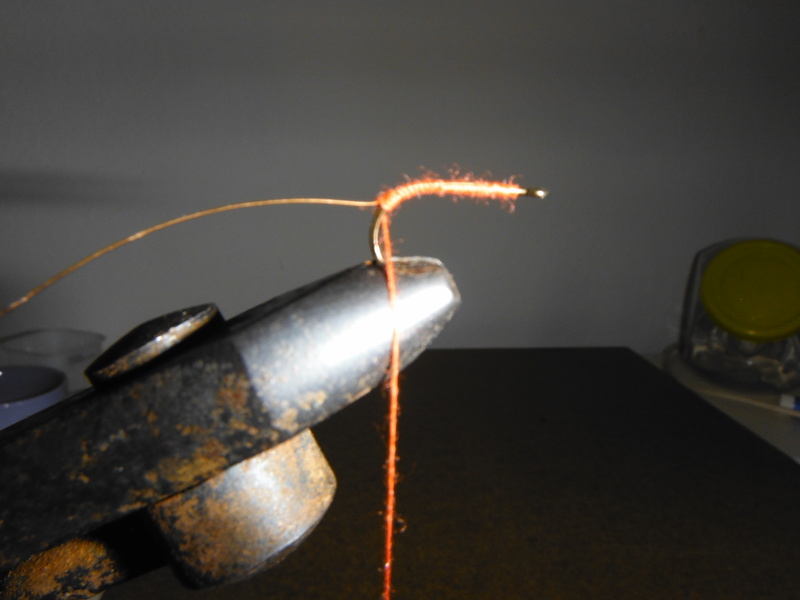 These are the kinds of flies I like – quick, cheap and easy! 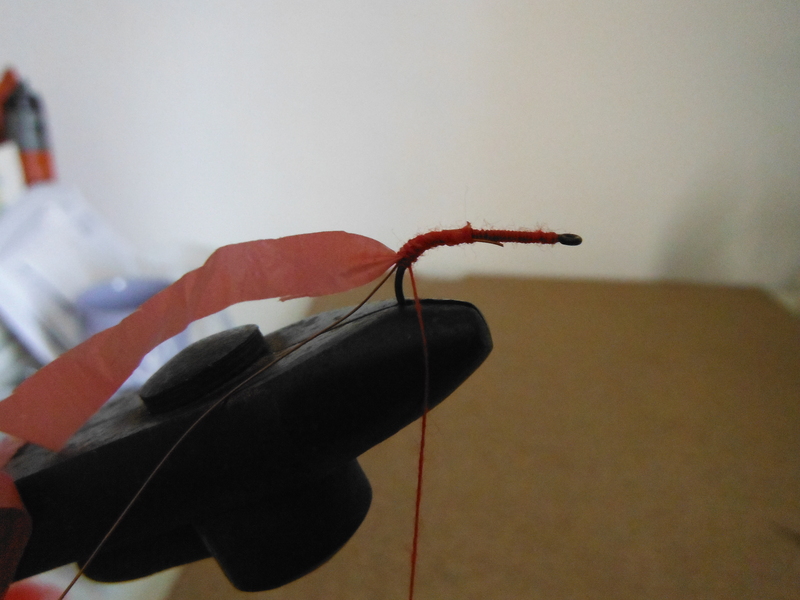 The body is tied from a narrow strip of thin plastic taken from a plastic bag. The nice thing is that, within reason, you can choose whatever colour you want. You might just need to visit a different supermarket! Personally, I plump with red / pink since it seems to work just fine. 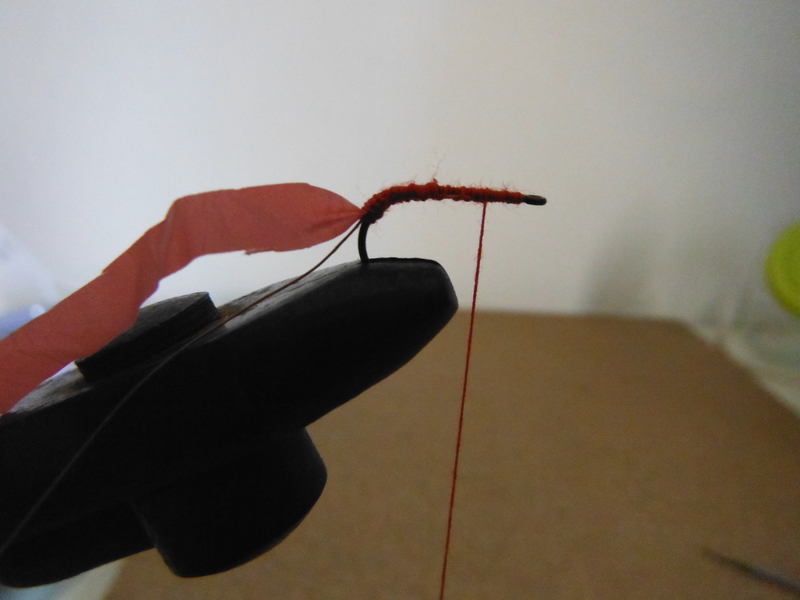 I like to tie them reasonably thin and, if I want the thing to sink faster, I just opt for a heavier hook. I don´t know if this fly represents a nymph or a buzzer pattern and will leave the pedants to fight this out if they have nothing better to do. For me, it is simply the plastic bag nymph and, when using it, I am confident it will work as well as anything else. It is better, in fact, than most. 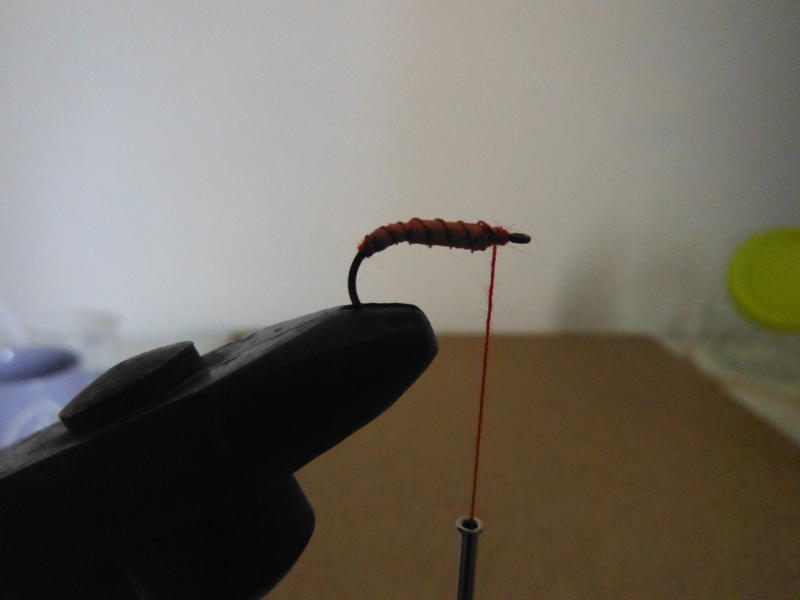 Here is how to put the fly together if you fancy giving it a whirl……. The finished fly. PersonaIly, I like to de-barb them. 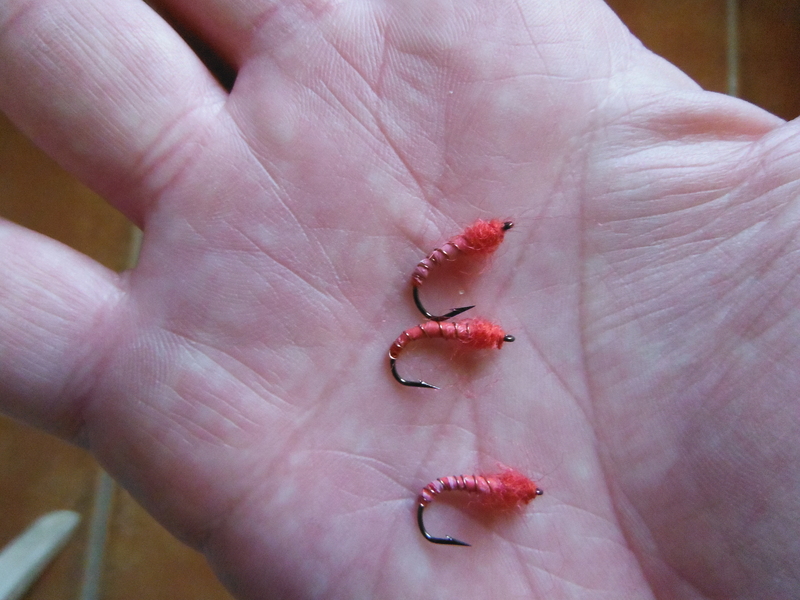 Then it´s off to the river to find a carp thick enough to eat one!